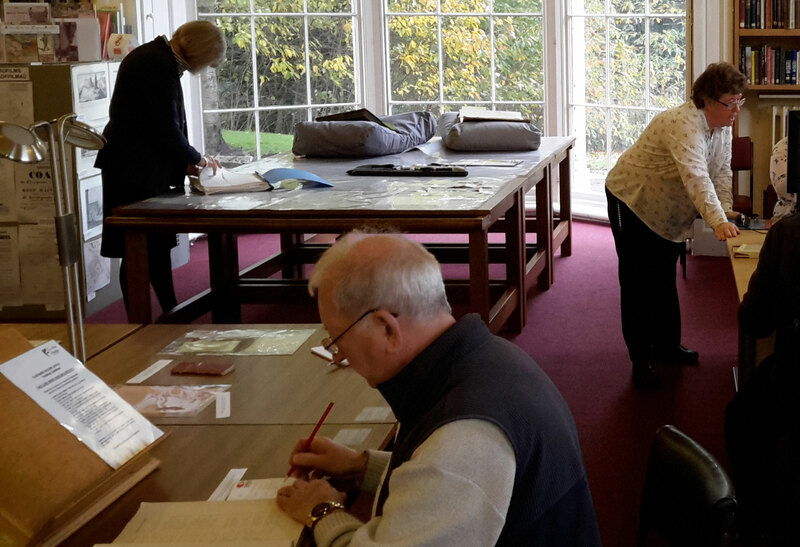 Yesterday a group of researchers from www.flintshirewarmemorials.com spent the morning with staff from the Record Office, studying the cards and other archives which help us with our project. 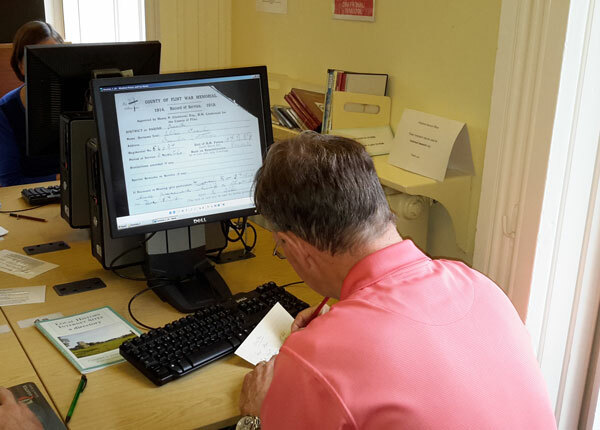 We think the people of Flintshire of 100 years ago, would be pleased to know that we have taken what they gave us and that we are trying hard through this website to tell the stories of their sons, husbands and brothers. The search Room, Flintshire County Record Office.